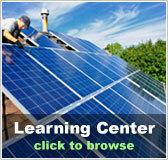 Arizona Free Solar Evaluation | Solar Panels | Solar Power | Site Map | Bookmark This Site! The potential for solar power in Arizona is immense. Being a desert, Arizona receives a great amount of sunshine, and has many open spaces that do not obstruct the sun. Due to its location, geography and weather conditions, Arizona is in some ways uniquely equipped to take advantage of solar technologies. Many people in Arizona also have pools, which have the option of solar pool heaters. Sometimes a solar kit can be found which meets a variety of different solar needs. 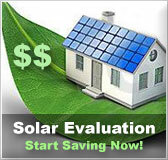 A free solar evaluation is definitely worthwhile in AZ. For all of the above reasons, former governor Janet Napolitano characterized Arizona as “the Persian Gulf of solar energy.” The state has in place a 15% renewable energy goal by 2025, and much of that change is expected to be accomplished through utilizing more solar power. 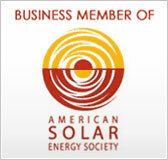 The AZ Solar Business Directory lists over 100 solar installation companies that operate in Arizona. This directory allows both individual consumers as well as large business the option of talking to different companies to get more information about installation solar panels. 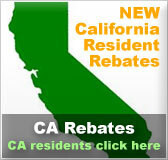 This also allows individuals and businesses to find the best price.